Classic Bond movie. For me it's definitely one of the best in the bunch. It has all the great stuff you remember; charming agent, fancy technology, Aston Martin, and en evil nemesis trying to destroy world order. Sean Connery is my favourite James Bond. 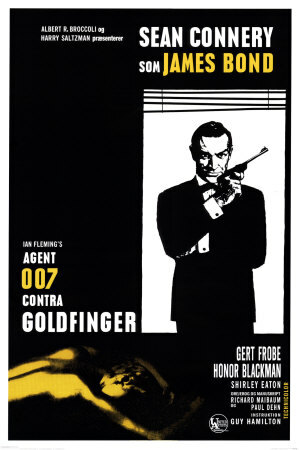 If you want to know what a Bond movie should be like, the one is clearly one to watch.